During our trip to Paris, I wanted my family to see a castle and took them to see the Chateau de Vincennes on the edge of Paris. The last time I visited the building, it was in ruins. In recent years, the site has been fixed using traditional methods. After passing through the huge entrance doorway, we walked in the courtyard to the ticket office. We passed a number of doors that were more modern but were surrounded by brickwork that was from an age long gone. A mix of old and modern. We were able to walk up to the wall of the castle and visit some of the rooms that had been opened. The doorway to the worn stairs was small and covered by a wooden door. Leading to the walkway of the castle. The doors leading to the prison were interesting. They were made of wood but had a steel front. 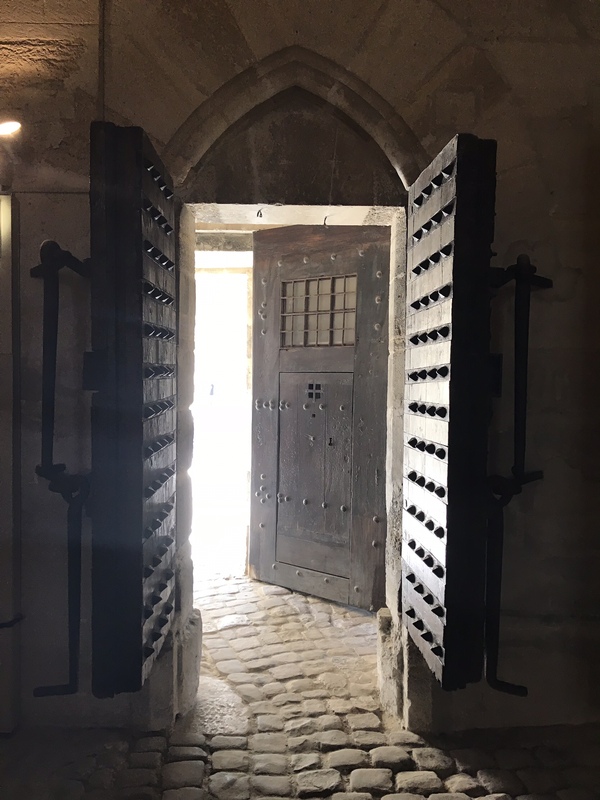 The doors made me think of those shows I enjoy watching that are set in the past – or even of the fantasy world in The Game of Thrones. The last stop of our visit was the chapel on the premises. One would assume the church would be small but this Gothic building dominated the people entering it. Our trip to the castle was interesting and even though I had previously visited, I saw a lot more this time round than I had seen on my last trip. 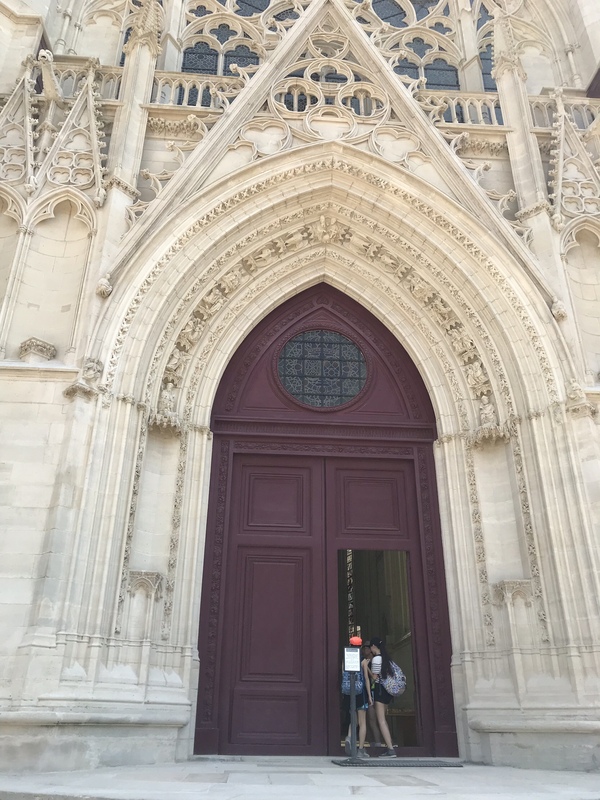 Have you seen the doors at the Chateau de Vincennes? That is true. For this visit it took us into a life that no longer exists. I also find it interesting to see how people used to live in the past as well as to see what was accepted practice. The prisons in this castle were above ground – so not too creepy. It was Jo. And the best part is that I didn’t realise they were working in a restoration. It should be finished in a few years – they are working on the king’s apartments.